When you choose Berrington, your loved one is going to receive the best care possible, and you need not worry. It’s no secret that with age comes associated health concerns, which is why our highly trained, trusted and attentive care team is equipped to accommodate all ranges of ailments, from minor to severe. Whether your loved one requires ongoing care from a team of doctors at a specific area hospital or simply needs routine check-ups, we’ll gladly accommodate their needs and arrange hassle-free transportation. 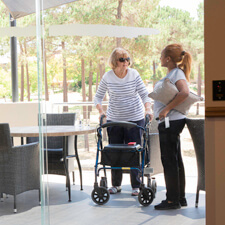 Our aim is to make any need for resident transport as easy and comfortable as possible. 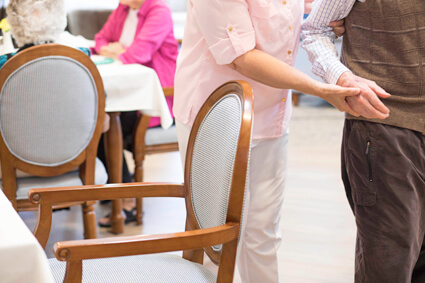 We do whatever we can to help ease the situation and maintain our resident’s health care is of paramount importance. Your loved one will enjoy all that Berrington has to offer, and we’re certain you’ll feel safe and comfortable with the decision. Let us help you experience the absolute best in aged care by scheduling a private, complimentary tour of our one-of-a-kind grounds. We look forward to helping your family enter this next chapter.